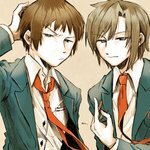 Narrator and lead male character of the Suzumiya Haruhi series. 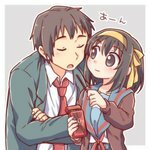 An ordinary guy who unwittingly gets himself tangled up in Haruhi's antics. Notable for his deadpan way of talking and snarky sense of humor. 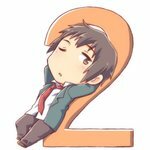 'Kyon' is a nickname and his true name is never revealed.